For 72 years, we have not had to advertise. Our customers never hesitate to tell everyone how satisfied they are. Durst is our shipping and receiving company for our line of kitchen equipment. They receive, uncrate and deliver the equipment to the construction site or remodeling job. We never worry about the Durst people representing us. They have always acted in a professional manner and treated our customers as if they were their own. They are always on time and within budget. 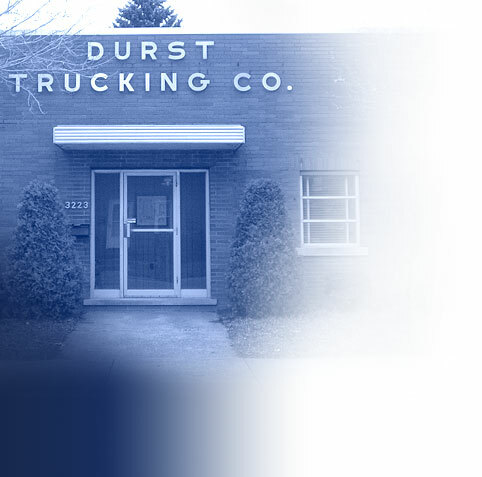 Our company has been doing business with Durst Trucking Company for many years. They have been providing reliable and timely service to all of our customers with their warehousing and trucking. We most appreciate the flexibility Durst is able to offer us and our customers to meet all of our needs. We look forward to many years of doing business with the Dursts. We use Durst exclusively for our warehousing needs. They have great facilities and their customer service is awesome.